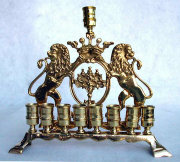 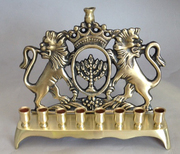 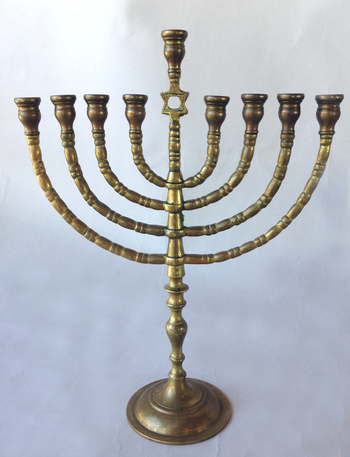 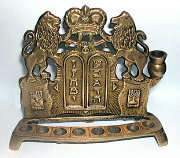 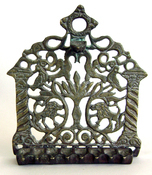 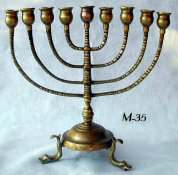 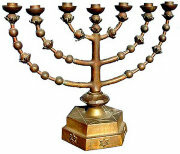 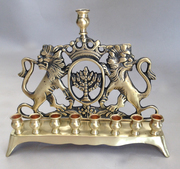 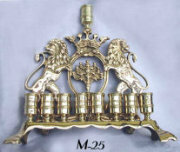 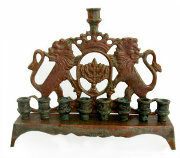 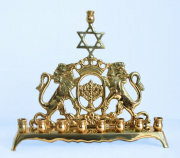 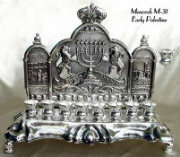 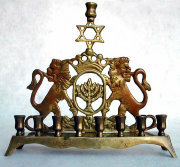 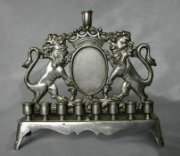 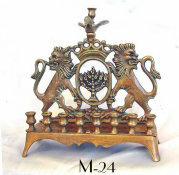 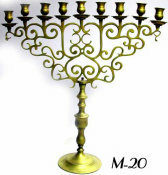 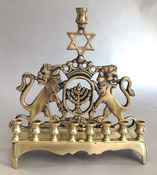 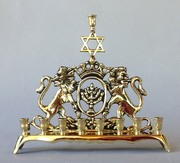 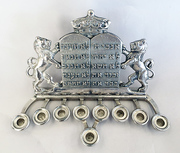 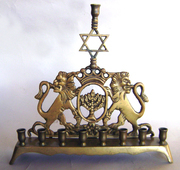 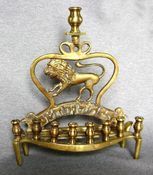 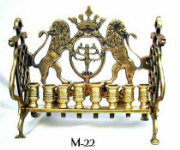 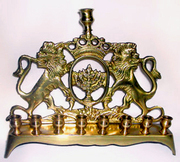 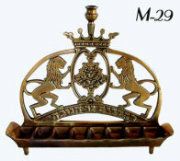 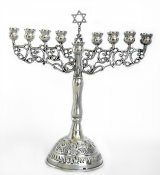 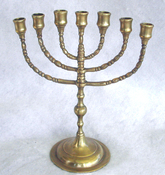 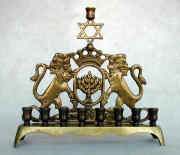 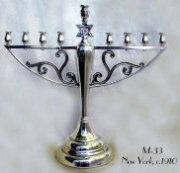 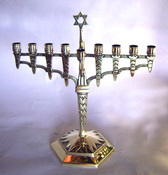 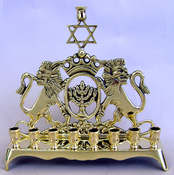 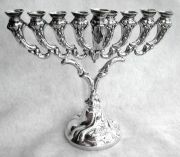 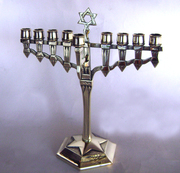 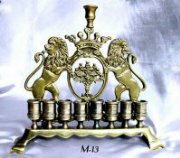 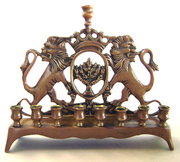 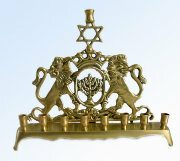 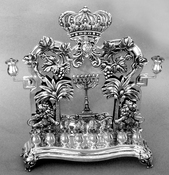 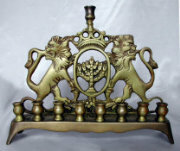 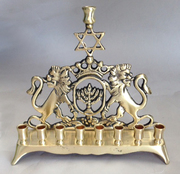 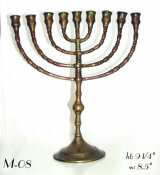 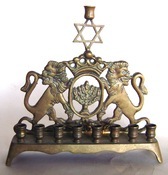 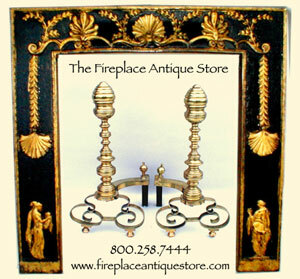 Antique cast branched Menorah with Star of David. 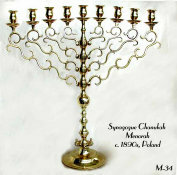 Graceful branches with bandling support ample flared candle cups. 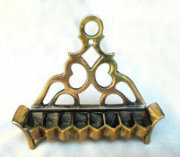 Set atop a domed, banded base. 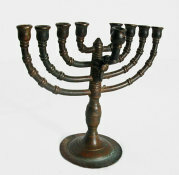 With original patina. 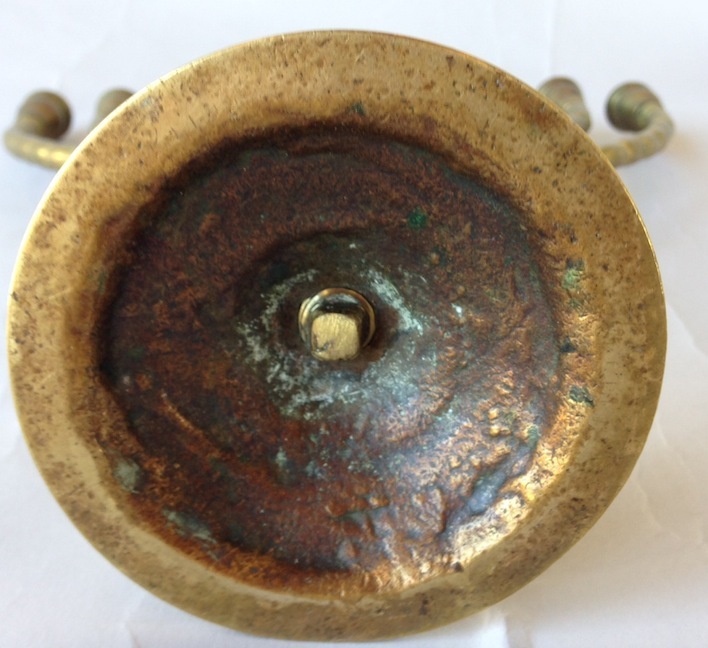 On underside a square hand turned screw shaft. 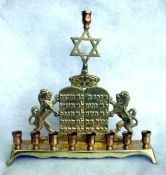 Carried to the New World by an immigrant family.